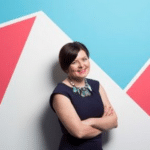 When Ciara Crossan from Wedding Dates.ie got in contact with us here at Brightspark, we were delighted to work with such a go-getting visionary who built a truly successful company that solves problems for brides and grooms planning their dream wedding. 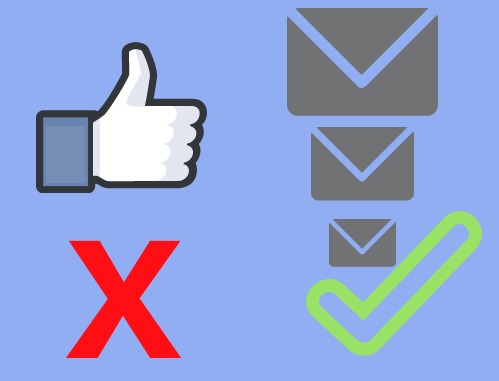 Initially Ciara thought she wanted us to help her boost Facebook likes, but a couple of conversations later and we agreed on an altogether much more useful plan for the company that was established back in 2008 – email list cleaning. The average length of an engagement in Ireland is 13-18 months. So it follows that the lifespan of a contact for Wedding Dates is relatively short. After a certain amount of time, ie. when brides and grooms get married, their interest in the service that Wedding Dates offers drops and it doesn’t make sense for the business to be targeting them. What we proposed was an email list cleaning project aimed at getting a cleaner view of their subscribers, and to generate some more opt-ins with data on planned wedding dates, and location. These facts would help Ciara and her team to be even more laser sharp with their targeting and marketing. We started with cleaning the email list. We looked at the last five emails sent by the business and extracted every subscriber that had not opened any of them. These were the targets for the email list cleaning process. Our goal was to reach out to them in a series of witty emails to see if we could lure them into a click, an open or some other sign that they still existed as an email address and were not dead! With a smaller more relevant list of really engaged readers we are much happier that our messages and those of the venues and suppliers that we promote are getting to the right people. To do this, we produced eight emails around the theme of love and break-ups, and sent these out using a mix of html and plain text. Every email had a call to action, to try and get recipients to take an action by a specific date or be removed forever. And keeping with email marketing best practices, we also gave them an option to unsubscribe. 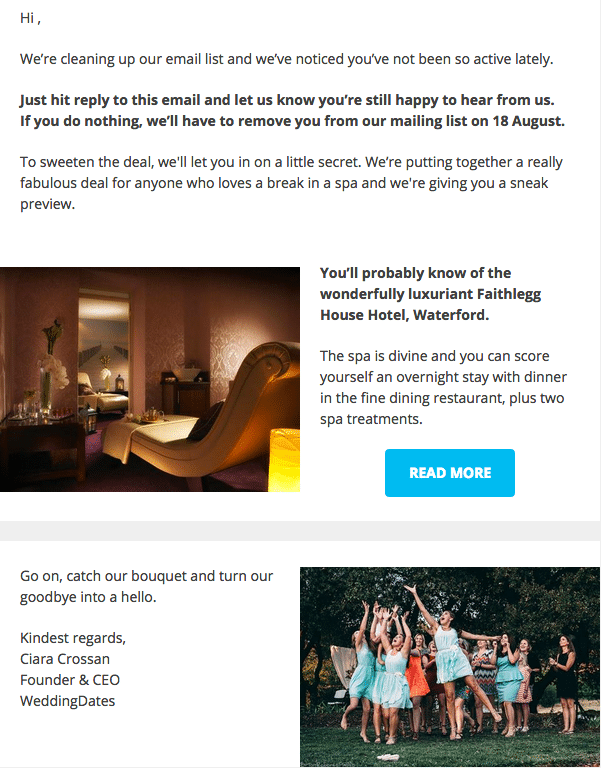 We particularly loved the wording of the emails that Maryrose and her team came up with in the series of “goodbye” emails before we removed people from the list – they were really witty and totally in keeping with the relaxed vibe of WeddingDates. People loved the witty and humorous emails being sent to them, giving us some lovely replies. We managed the response rates, and on deadline day we sent a new list to the client with the remaining non-responders minus the original list. While this resulted in a reduction in their email subscriber lists, it was one that can save them money right away. Anyone who is actively engaging a large subscriber base using email will be well aware of the costs associated with it. For WeddingDates.ie, our work will bring cost savings of €3,780 based on its existing send frequency, and more if it chooses to up its contact frequency. Or in other words, Wedding Dates now has an additional €3,780 to spend on a more targeted list. Quizzes rock! They are popular because they appeal to people’s vanity. Let’s face it, we are all a little bit self-obsessed and a fun personality test can appeal to that ego. 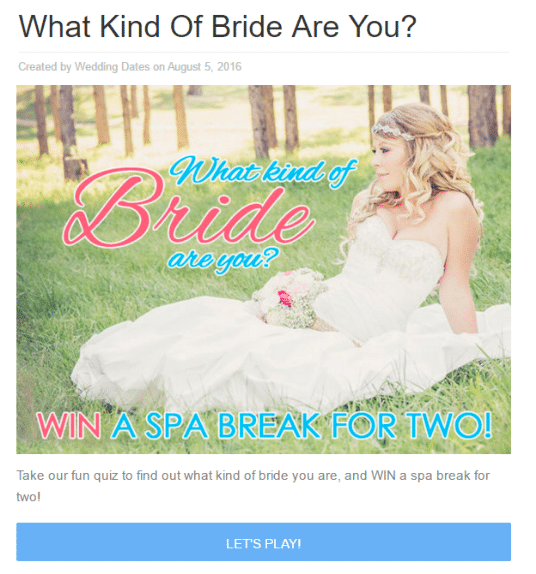 ‘What Kind Of Bride Are You?’, is a quiz that we built on the Wedding Dates website that formed the main lead magnet for the promotional activity to follow. 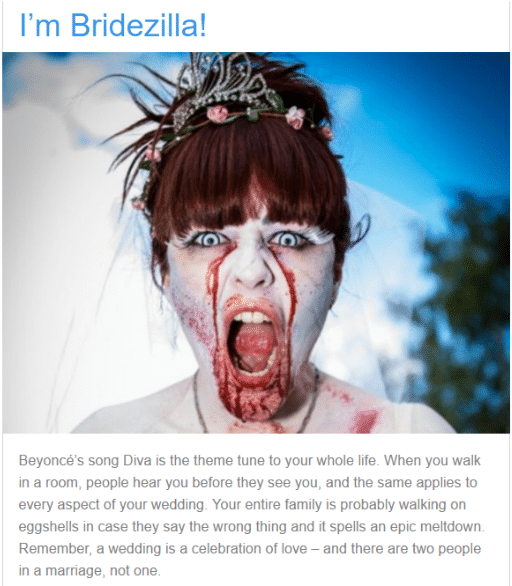 This was a fun, relaxed quiz that really related to the Wedding Dates audience and their issues . There were 5 questions with four possible answers to each. I’m Calm, Cool & All About the Part-AY! People loved it! There were loads of comments on Facebook with many sharing their results and having a laugh about the result they got! The quiz was promoted using Facebook ads and here we introduced Lookalike Audiences to the client. We ran a series of ads using different targeting options, utilising the full mix of Facebook’s exciting availability. The primary objective was to gain new subscribers through Facebook’s new lead generation advertising. The ads were run for just three weeks but during that time, we adjusted targeting and copy options regularly in an attempt to learn what kind of messaging and audience types work best for the client. While we are not at liberty to report on the actual number of new opt-ins achieved for the client, but we can report that Wedding Dates has a new subscriber list of well targeted individuals who are getting married soon, who have shared their date, and location, and who want to hear from Wedding Dates. 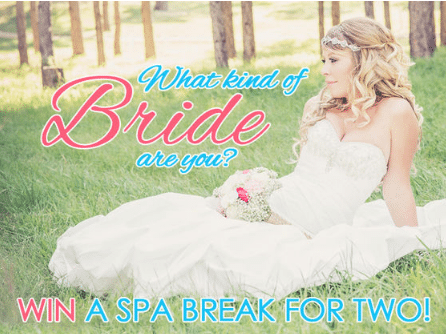 Not only that, but a large amount of existing subscribers also took the quiz and they also provided key information to Wedding Dates that will enable the business to roll out much more targeted messages, that are extremely relevant to their subscribers. If you put a price on the value of an email opt-in, the value generated could be in the thousands. Overall a successful project and one that I am very happy to have undertaken. If you’ve got a large email list that’s not responding as much as you’d like, talk to us about injecting new life in it. The email list cleaning exercise has been nothing short of cathartic for us in WeddingDates as we knew that a large percentage of our list weren't reading the newsletters that we put so much work into each week.